Our detailed review on Designhill, an uprising player in the field of design contest sites. Considered one of the best go to sites for a logo design for your business. Designhill is one of the top marketplaces for graphic design and graphics available. While they do offer both one-to-one design contracts and a ready-made logo store (where you can buy designs for as low as $49), their primary focus is their design contests, a feature which allows clients to submit a design request to the platform, and then receive proposals from multiple designers before making a decision. This method gives buyers a greater chance of getting the perfect design than the traditional method of hiring a single designer / agency. While there are several sites that offer this type of service, hopefully this Designhill review will help you decide if this is the right site for you. In October 2014, Designhill was form launched in India under the leadership of Rahul Aggarwal and Varun Aggarwal. The response to this new way to access design talent was overwhelming, and the site grew in popularity, opening two more offices—another one in India and one in the United States. While this is not one of the biggest sites, with only about 40,000 designers, their primary goal is dependability, and they have grown a base that is big enough to consistently produce good results for their customers. Write a design brief to answer a few simple questions about what you’re looking for. This will include selecting sample designs that appeal to you and choosing a color palette for your designs. You will also see pricing options and select the design package that suits you during this step. Wait for designers to send you their proposals. You can decide how long you want your contest to run (usually from 24 hours to 10 days), and Designhill will offer you an estimate of approximately how many responses you can expect based on your timetable and prize. Once you start getting responses, the site has built in features to let you poll your friends or clients and offers unlimited feedback to the designers until you settle on the perfect choice. Make a decision (within 14 days of the end of your contest), and finalize the any changes with the designer. You have two weeks to finish everything and take ownership of the product, at which point you will be able to download high quality files from the site (vector files in .png, .jpeg, .ai, and .psd formats), and the copyright will be transferred to you. You will also have the chance to buy more designs from the contest for reduced prices during this time if you so choose. 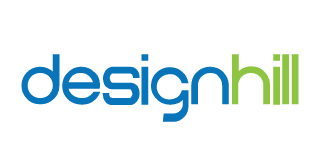 Designhill is a great option for your design needs, but it will definitely take some time to sort through all of the options this site offers. We would highly recommend taking advantage of the free consultation to get some guidance on what direction would be right for you if you choose to use this service. Overall, our Designhill review is definitely positive, and if offers some great quality design options, whether you choose to go with a design contest or buy through their more traditional avenues. This is not the biggest or the fanciest platform, but it offers a high level of quality with a lot of flexibility all in one place. Also, at the time of writing this Designhill review, they are offering a special deal to The Crowder visitors which will allow you to upgrade your contest to a “Premium” contest worth $100 if you use the coupon code SPECIAL100! Great process. Over 50+ designs submitted. Easy, fluid and dynamic interface! Great process. Over 50+ designs submitted. Easy, fluid and dynamic interface! Outstanding brochure design and prompt help. Designhill has represented an awesome brochure to our Dream Homes Marketing Project. I must say this is the one stop center for all your design needs. A great company with a wonderful team of graphic designers & exceptional level of customer service. Makes it easy for someone like me starting a small business and finding good quality designers for my social media page design with affordable budget. Great to work with designhill- it was an easy and enjoyable service that provided the right amount of guidance and support to someone who has not used it before. A fast, fun and cost-effective process that yields great results. Crowdsourcing is a brilliant way to pick the creative brains of a global design team and get a solution that is right for you. The menu design which has been received was awesome.They accurately read our minds and helped us narrow our focus on what we were exactly looking for. We are really impressed with the creativity and ingenuity of the Team.